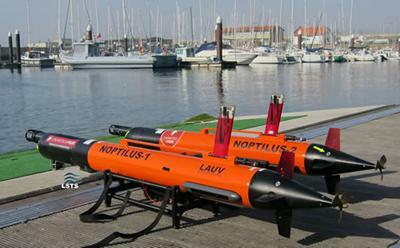 Low-cost underwater unmanned autonomous vehicles (UAVs) are to scan the ocean and gather environmental information for management of one of Europe’s busiest ports using ground-breaking technology from European researchers. The on-demand UAVs will drive intelligent data analytics to provide the Port of Leixões, Portugal with environmental impacts in a matter of hours. The Internet-connected UAVs will send observations to a geo-spatial environmental data fusion platform that prepares data for marine risk analysis allowing for rapid response impact analysis. The trial is conducted as part of research by the European Commission funded SUNRISE EXPOSURES project. The project’s technical lead Professor Michael Boniface, Technical Director at the University of Southampton IT Innovation Centre, UK, said: “Marine industry stakeholders will collaborate to create a new data value chain that builds on low-cost drones and advanced data analytics to seamlessly connect surveyors, marine analysts and authorities. These drones are small enough to be launched by one person and cost less than 100,000 Euros allowing them to be preconfigured for marine applications, such as scour and sediment transport analysis. To ensure the technology is developed to full effect, the consortium runs an EXPOSURES ‘Interest Group’ where potential end-users and other interested parties from the marine industry, government agencies and scientific community are able to learn more about the project. To join the group, please visit www.groupspaces.com/EXPOSURES/ and click on the green ‘Join’ button. The consortium, which is made up of the University of Southampton IT Innovation Centre, UK; Marine Southeast Ltd, UK; and SUNRISE project partners especially the Laboratório de Sistemas e Tecnologia Subaquática from University of Porto, Portugal, have collaborated to deliver a geospatial data management platform exploiting underwater Internet of Things for the evaluation of marine environmental processes and risks.